Have you ever practiced yoga beside someone who is breathing deeply and audibly, allowing their movements to follow their breath perfectly? 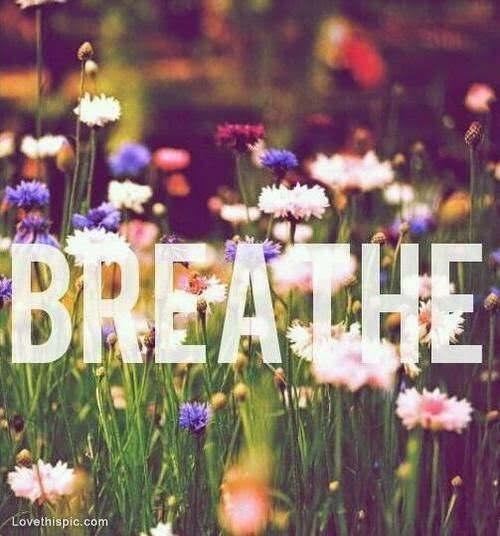 Have you noticed that because of their rich breath you then remember to breathe deeply and audibly as well? 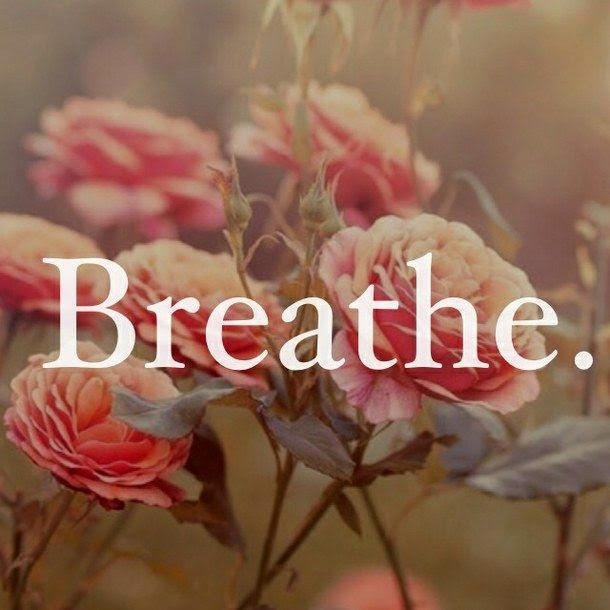 Vice versa, when practicing beside someone who is holding their breath, with a red face and bulging eyes, you might notice that your practice becomes stressful and tense; you begin to forget about your breath as well. Even off the mat, I've personally noticed that if I'm in the presence of someone who is connected to their breath, their energy feels very grounded and they even seem to talk slower. I find that their influence naturally calms me and I too become more grounded in my breath. Being around people who take short breaths into their upper chest, who aren't aware of their inhales and exhales, often have an intensity about them. They might see more flighty or on edge. If you're ever hanging out with this type of person, explore how your breathing changes, and even notice their body moving (or not) as they breathe. 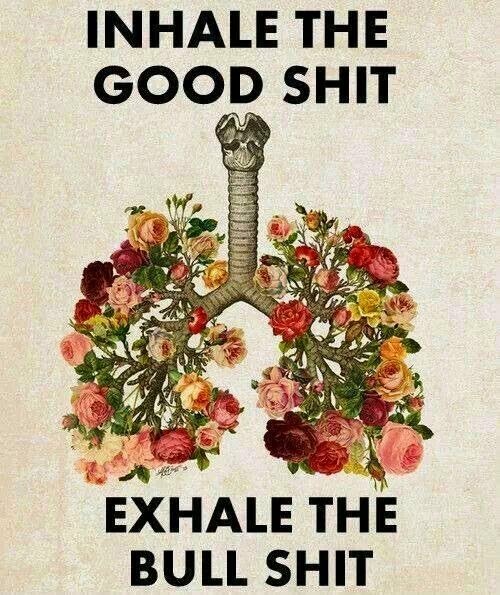 You get the picture....breathing is contagious! Very early on in performing arts school, I learned that your breath can manipulate and bring on emotion. Doing a good ol' hip opener with loads of breath would always warm me up for a crying scene, guaranteed! 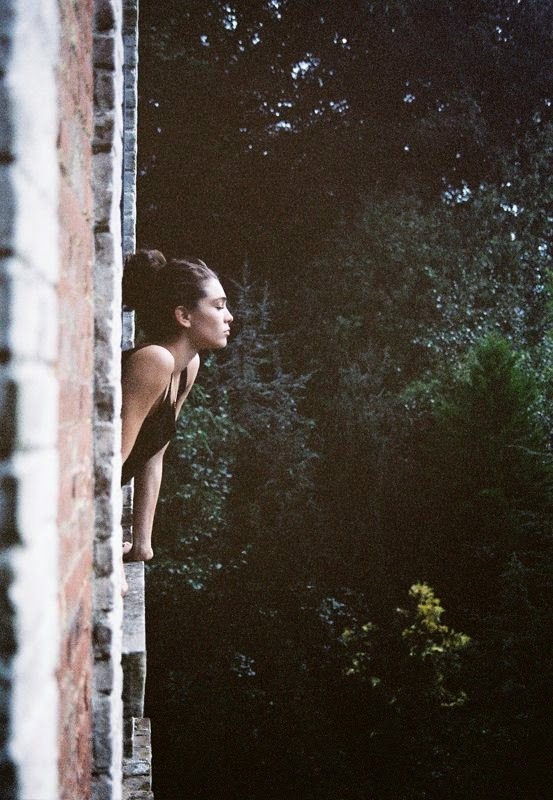 A lot of us steer clear from deep breathing, because subconsciously we probably know that a deep, conscious breath could lead to vulnerability. I often encourage my students to periodically check in with their breath when they're experiencing a strong emotion. Usually when we're anxious, the breath is short and the air intake is minimal. When we're at peace, the breath is slow and mindful. Anger is often paired with holding the breath. Amazingly, if you catch yourself in a mood or emotion that doesn't serve, consciously pulling in more air, and letting more air out (or even the undesired emotion out) will help to shift you into a state that is better suited. If you're experiencing tension in the body, for relief simply bring your awareness to that specific place. Visualizing the breath traveling to the area can be just as powerful. With each cycle of breath, picture the breath reaching the area of soreness. With each inhale imagine the pain being worked out, smoothed out, and massaged away. With each exhale, visualize the tension leaving the body. This exercise allows the body to feel open and spacious, and it helps the body to relax into the pose and/or into life. Holding your breath might seem like a way to avoid drama, but in reality it creates more blockage and more baggage, which you'll have to deal with later; More layers and more armor will inevitably be packed on. I know it's scary, but experiment with breathing directly into the sensations. What you're experiencing will probably pass quicker, and you'll organically shift from one emotion to the next, from one thought to another, in and out of memories, not getting caught up or obsessed at all. 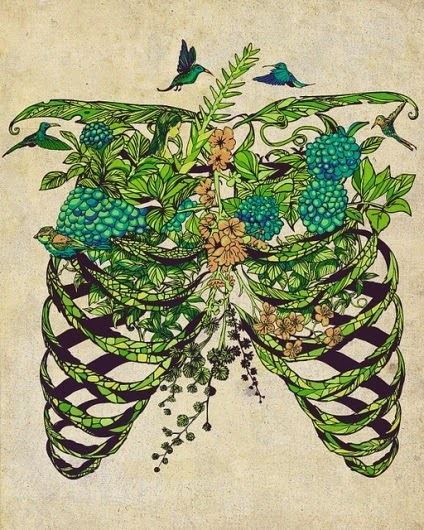 Pushing the breath through discomfort will help you to fall deeper into the rich layers of your body, mind, and spirit!